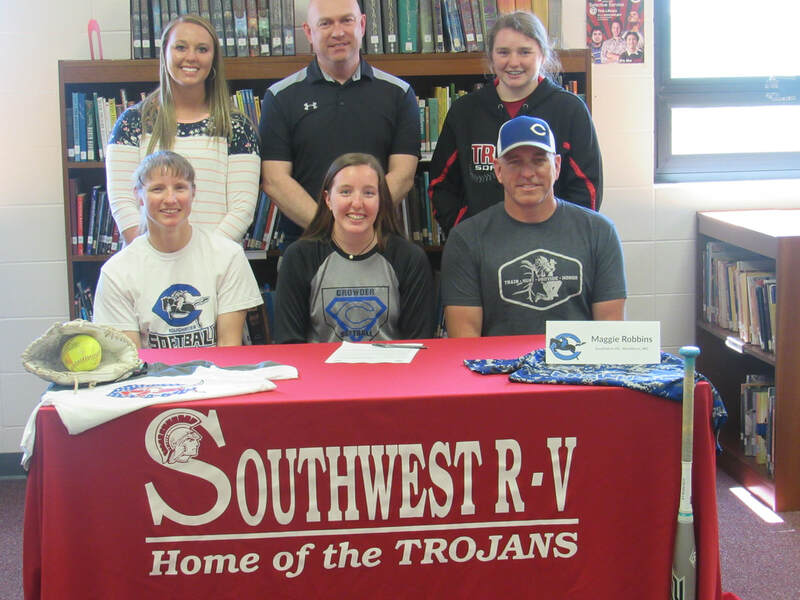 Southwest Senior Maggie Robbins recently signed a letter-of-intent to play softball at Crowder College in Neosho starting this fall. She celebrated in a brief ceremony in the high school library last week. Pictured above, from left to right, front row: parents Angie Robbins, Maggie Robbins and Brian Robbins. Back row: Coaches Shawn Johnson and Melissa Mitchell, and Bonnie Robbins.